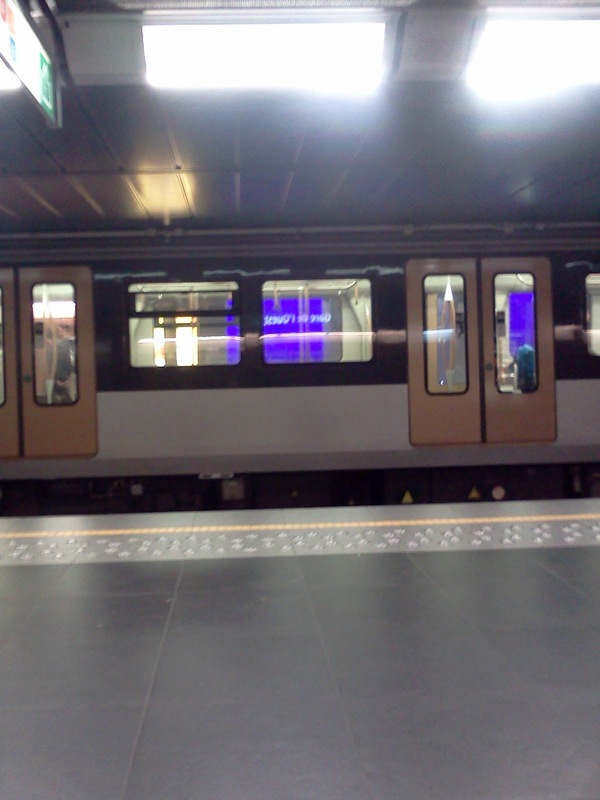 "fancy" trains turn back at your neighborhood. 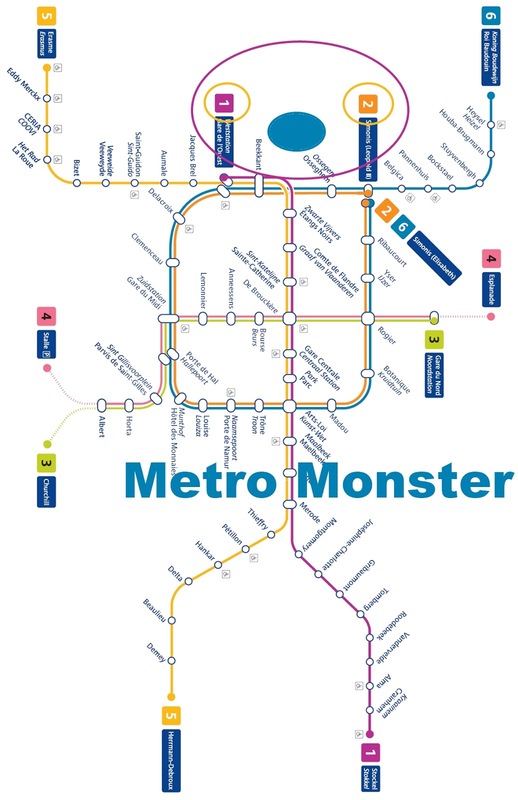 You ever get that feeling that who ever planned out the public transportation system in Brussels gave a three year old a crayon, a crack pipe, vodka, and a Red Bull and said "have at it?" I recognize infrastructure tends to spring from random necessity rather than art, but there are several things that confuse me. Beyond the fact that the overhead voice calls it Le Meetro even in English to stylize the French pronunciation (which actually brings a smile to my face each time I hear it), I'm perplexed that after two months here I still can't find a map that combines both trams, buses, and Metros into a single image. Why can't the 2 & 6 lines form a "circle line" like London does? Why is it called Simonis in both ways? Can't we just go with Elizabeth and Leopold? If it wasn't for the clockwise maps, I'd never make it home. Is it just me, or does Kunst Wet remind everyone (the physical station, not the name) of the ending of Terminator 3? I say don't finish the remodel, but just install some escape slides, a training climbing wall, and a place selling golubtsy. Why can't the 7 tram continue on from Churchhill? Why must I get on the 3 to go to Porte de Hal or Midi? Exactly how many stops do you need there too? What powers of the universe is preventing this miraculous feat from occurring? 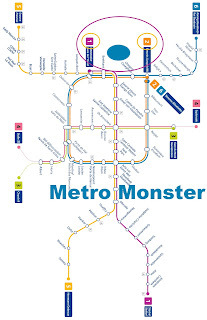 I've got other questions, like why is there "short" Metros? Does it really save money by disconnecting a couple cars, or is this just to keep us guessing where to stand on the platform? Has anyone ever done research about how many germs are on the door-open buttons? Perhaps we could install The Clapper, motion sensors, or just bloody open the doors at every stop like other Metros? Marius Renard smells like cilantro. Saint Guidon smells like weed, De Brouckere smells like waffles. Every time I ride the metro I end up hungry! If the power goes out at Gare de L'ouest, does the elderly who can't climb stairs just collect at the bottom of the station? Are the blue lights to calm us overly edgy Anderlecht types? 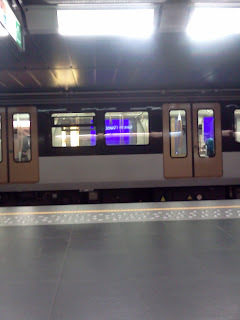 Why do some stops have disco style blue and white lights that activate when the train comes into the station? Are we supposed to break into dance?